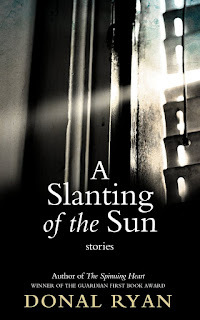 BleachHouseLibrary.ie: Book Review : 'A Slanting of the Sun' by Donal Ryan. Short Stories. 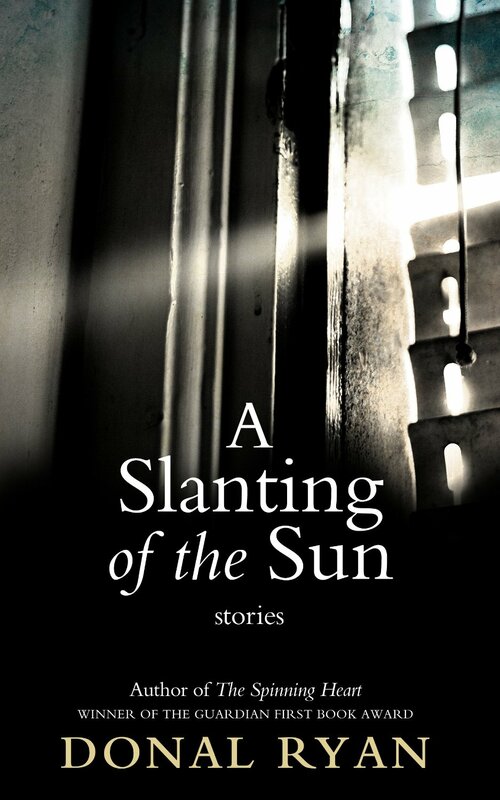 Book Review : 'A Slanting of the Sun' by Donal Ryan. Short Stories. A collection of twenty short stories, from one of Ireland's most loved authors, this is Donal Ryan's third published title. The consecutive successes of The Spinning Heart and The Thing About December were the stuff of dreams. Originally rejected, many times, the author's novels were discovered by an intern in a small publishing house and went on to capture the nations heart and imagination, whilst riding high on the bestseller list for most of 2014. Ryan's lyrical prose and study of a rural Irish community, recovering from economic downturn, showed how the literary form can thrill a reader as much as any contemporary fiction. The author's talent at showing beauty in the everyday, mundane lives of individuals shone from the pages of his books and introduced a bright new voice to the already established, yet unofficial, Canon of Irish literature. Understandably, there was a fear that this collection may not be as powerful or have the same originality of his earlier work. The fear is unfounded. This is a book of delight. Warm yet sharp, devastating yet memorable, ironic while at the same time believable. 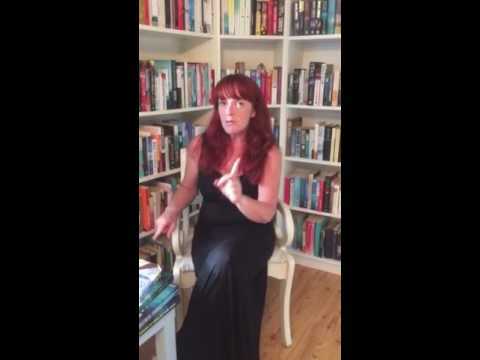 Characters are brought to life with concise clarity and a meaningful manner. The reader encounters liars, cheats, victims and the marginalized. There are insights into the minds of the disillusioned, the disenchanted and the desperate. While each story has its own unique narrative, there is a sense of uniformity throughout the collection. The goodness within can be tarnished by the need to function in a modern society, to expected standards and beliefs. The exhaustion of hiding inner-darkness is achingly obvious and the reader is not required to be a judge or jury at any stage. The stories are simply a peek through the keyhole, not a complete picture, but enough to catch a glimpse at the workings of others lives. In Trouble, we are witness to a young boys heartbreak, when he is once again stigmatized as being part of the travelling community. He is devastated to learn that he may never escape this, that his whole life will be one circle of judgment. In The Squad, we are privy to the memories of an old man, now in a nursing home. There are elements of regret languishing within him and despair at his inability to change the past. Sky is detailed with beautiful prose, showing how much a child can lend to the life of a lonesome adult and that dependence can occur without obviousness. Hurling is a recurring theme in many of the stories, with A Long Puc standing proudly erect among the tales. An Irish priest brings his love of the game to Syria, and instills the joy of the sliothar and the hurl to the village. Impromptu games and tournaments are arranged and there is a brief moment of joy in the battered land. The collapse of this brief unity is made all the more devastating with the image of an unused, hand-carved hurley, laying in wait against a holy-water font. The pain is raw and real. This is not a collection which will make you feel comfortable. It is not one that should be devoured in one sitting. Each story deserves its own space, its own time and its own contemplation. While some tales are more shocking than others, some have more 'meat' to them, they all have one thing in common. The don't sugar coat life, they don't shy from the harsh realities of human nature and they all linger for longer than the reader may necessarily want them to. A new way to read. Review of Playster.com.